Home Tags Articles tagged with "Rocket Challenge"
The 2017 Maricopa Science City at the Salsa Festival will not only be spicy, but STEAM-y as well. Six hundred students will participate in the event that promotes STEAM education. More specifically, it provides students access to exhibits based on subjects in Science, Technology, Engineering, Art and Math. Local businesses and organizations will offer hands-on demonstrations at the event, which will take place on March 25 at Copper Sky from 2 to 8 p.m.
David Noble with the City of Maricopa said the event is part of an initiative by the Arizona Commerce Authority called the Arizona SciTech Festival. Maricopa Science City is “a science-at-work exhibit where businesses or organizations come and present some science-based aspect of what they do,” Noble said. This year, Harrah’s Ak-Chin will return to the event to show students the science behind making ice cream. Other local exhibitors like Central Arizona College and Maricopa Outdoor Adventures will also be on-hand. 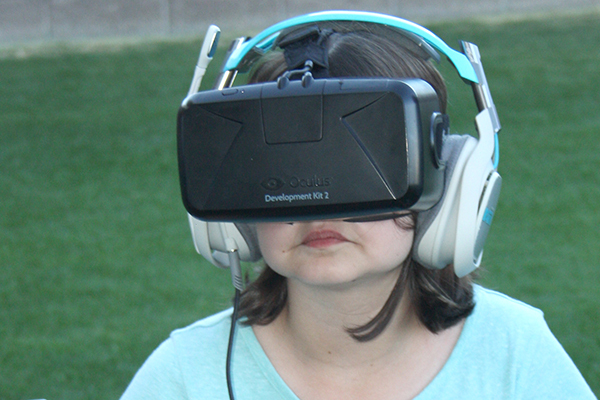 Returning technological exhibitor, Microsoft, will give students and attendees the opportunity to look through virtual reality goggles. 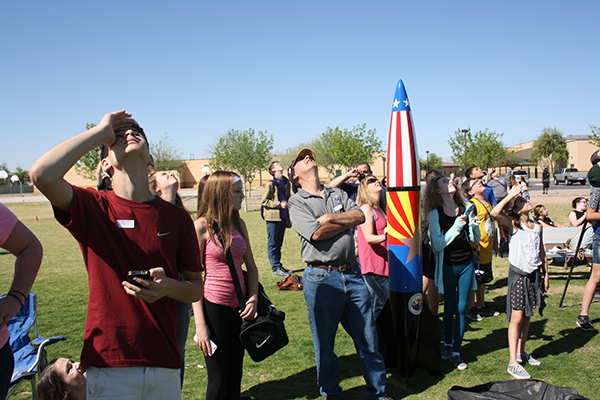 New to Maricopa Science City this year will be the Rocket Challenge, which will start at 11 a.m. in the soccer fields south of the festival. It will feature 300 middle school students firing off rockets they built themselves. The two portions of the competition include level-one students who compete in an altitude test to see how high their rockets can fly. The second level students attach an egg on their rocket and are challenged to bring the egg back down to earth intact. Councilmember Nancy Smith has spearheaded the rocket challenge for the past three years and said having the event included at Maricopa Science City this year will allow students more exposure to opportunities in STEAM. “Any time you can engage children in learning more about science, math, art and engineering – and those more technical aspects — you have the ability to interest them in those career fields as well,” Smith said. The U.S. Bureau of Labor Statistics projects employment in STEM occupations (the report did not include the arts), will grow 9 million jobs between 2012 and 2022. City officials said events like the Maricopa Science City are designed to align students with opportunities in these growling fields. “I think the focus is ensuring that our students are properly qualified to enter the workforce and to interest them in STEAM education, and STEAM related employment down the road,” Noble said.